Would having the federal government buy guns to arm and train schoolteachers “improve school conditions for learning”? It doesn’t seem likely, even to Congress, which specifically barred gun purchases in a school-safety bill this year that provided $50 million to local districts. 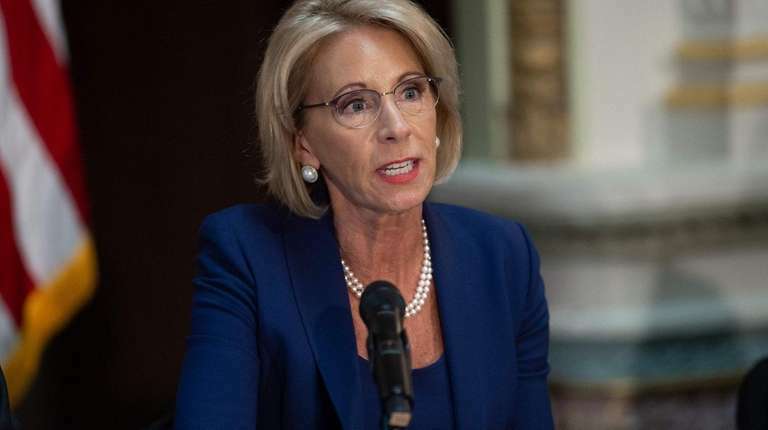 But Education Secretary Nancy DeVos is considering using that loophole in a $1 billion academic support fund she controls to fund just such a program. With Gov. 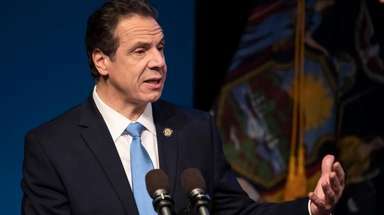 Andrew M. Cuomo and state Education Commissioner MaryEllen Elia vehemently opposed, those gun funds won’t be coming to New York. But there are certainly people in the state who believe training and arming teachers would make schools safer. So who’s right? Unfortunately, the NRA has successfully lobbied since 1996 to prevent the Centers for Disease Control from doing research on gun violence, so there is little data on the effect of putting guns into the hands of authorized civilians at vulnerable locations. There are nine states where teachers are allowed to be armed or have access to arms on campus. It would help to have data on how that works out. This year’s federal budget gives the CDC authority to research gun violence, but cynically provides no funding. DeVos’ proposal to use federal funds to arm teachers is a purely political move. If we want to make schools safer, first use that money to study gun violence to determine what works to stop it.